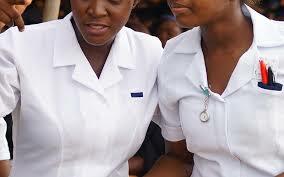 THE Government on Friday granted permission for nurses and other health workers to adjust their working hours to 154 hours monthly which translates to three days a week. In a letter addressed to Provincial Medical Officers and Chief Executive Officers, the acting Permanent Secretary in the Ministry of Health and Child Care, Dr Gibson Mhlanga, said the proposal would help health workers cope with transport challenges. According to the proposal, health workers will work a total of 77 hours in two weeks with shifts starting from 7AM up to 7PM. Dated February 1, the letter said nurses had already started implementing the schedule and it was time other health workers joined. “Reference is made to minute dated December 7, 2018 where it had been suggested that the implementation of this interim arrangement was to start with nurses and extended to other categories. Heads of institutions who had not yet done so are requested to extend the interim arrangement to other categories of health workers,” said Dr Mhlanga. He said this will enable the health workers to cope with the current prevailing transport challenges until the environment stabilises. “It is important that adherence to a minimum 154 working hours per month is maintained and in a manner that ensures continuity in service provision and adequate coverage,” said Dr Mhlanga. He said members who are not comfortable with the extended working hours will continue with the normal working hours and days.